A smaller shaded square is wedged between two quarter circle arcs. What is the ratio of the smaller square to the larger square? What is the ratio of the smaller square to the larger square? We'll define the side of the smaller square as x. Through symmetry, there is an equal gap either side, which we'll call a. The side of the larger square is, therefore (x+2a).  The yellow line is the radius of the circle, and is also length (x+2a). The only sensible answer is the positive one. The side of the smaller square is 3/5ths of the side of the larger square.  The area of the smaller square is 36% the area of the larger square.